While China is renowned for being one of the global leaders in the world economy, the country’s dark history has recently resurfaced. According to a BBC News article, the “anti-corruption investigators in China have confirmed the reported seizure of the equivalent of $33m in cash at an official’s home.” The official, who has been identified as Wei Pengyuan, the “deputy chief of the National Energy Administration’s coal department.” is now under investigation and listed on the recent names of prolific figures in mass corruption. According to BBC, the “average salary in China is $46,000,” which is not reflective of Wei’s salary as the deputy chief of the National Energy Administration of the coal department. Wei was “put under investigation in May for allegedly accepting bribes following the discovery of the hidden cash,” which would relate to his exponential increase in cash flow. While Wei’s salary has not been divulged to the public, one can infer this has been going on for quite some time. 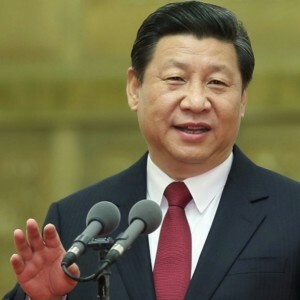 Xi is mindful of China’s recent corruptive past but wants to tackle the issue and be proactive, for he does not mind attacking senior officials. While this ranges from wealthier to lower corruption scandals, Xi is aware of the pervasive corruption and believes it must cease. This recent revelation of the major corruption scandal in China can viewed as a negative, repetitive cycle of corruption scandals, or with optimism in what Xi and his political regime are addressing as a major issue that looms in China. Xi has been adamant that corruption must cease and that all individuals are accountable. One must continue to follow China in years to come and see if they can overcome their corruptive past. Perhaps this is a cleansing period for China and corruption may end, or it may continue as an issue that resurfaces.